February | 2012 | The Sassy Spoon: Fun Food! On Saturday I got to experience something really special. 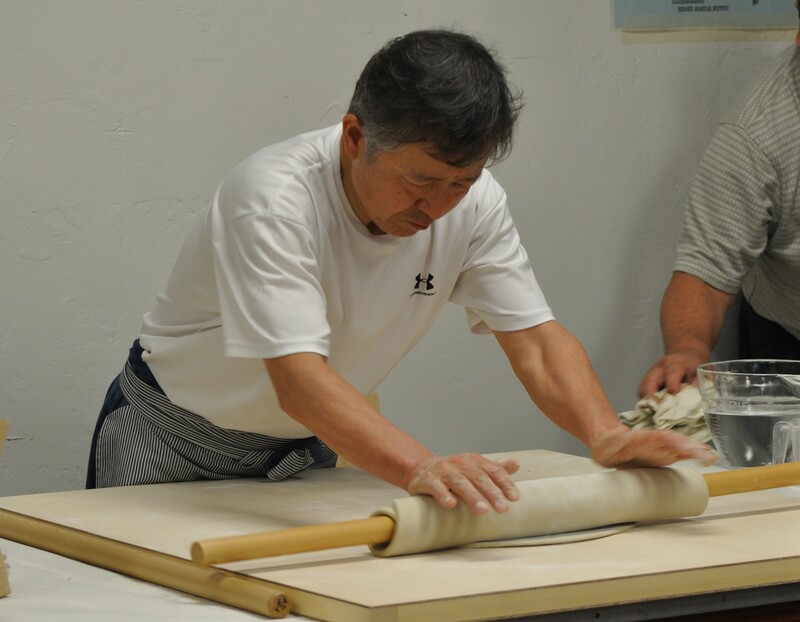 The Puna Hongwanji hosted a professional soba maker from Japan to teach a workshop on making soba. Mr. Yamaguchi came from Fukui Japan to teach us his craft. And I use the term teach loosely, as it takes an entire year of making soba three times a day before you can actually be considered a professional. In Japan, soba and other noodles are made both by hand and also by manufacturing equipment. The handmade noodles are revered and sought out. Mr. Yamaguchi’s shop is one where the noodles are made daily, every day of the week, every week of the year by his wife, himself and a worker. He and his wife take separate vacations so that the shop never closes. In the shop, the soba master works behind a glass cage so that the customers are assured they are getting the freshest handmade product. Often there will be a slightly misshapen piece of noodle added to each bowl so that the customers are once again assured of a completely handmade product. The heart of soba making is in the region of Japan called Fukui where a long tradition of growing and harvesting buckwheat is centered. Buckwheat is not a grain, but the seed of a flower. The 54 year old soba maestro has traveling equipment set up that he stores in Hawaii because he comes here so frequently to do demonstrations. 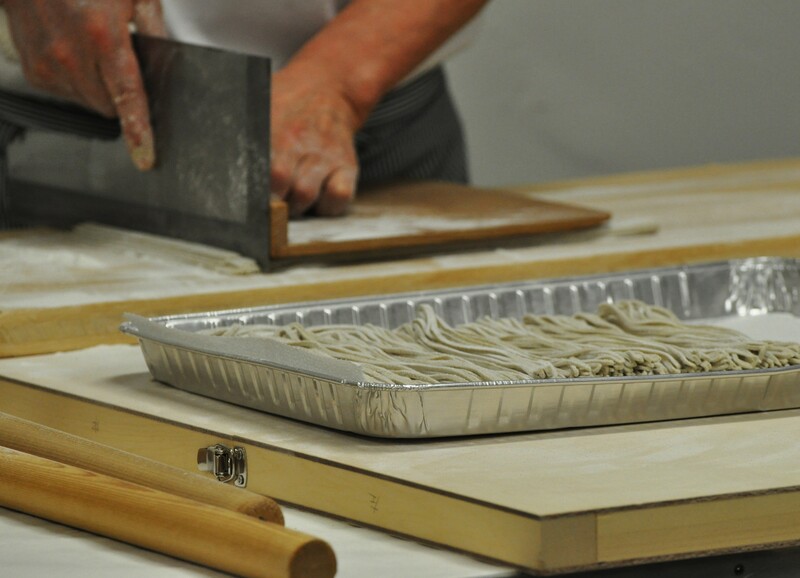 His equipment involves a large wooden shallow bowl for mixing the buckwheat flour and water that comprise the noodle dough, a 3’ X 3’ rolling surface which comes apart in three pieces, a 3’ X 1’ cutting board with 2 little folding legs to hold it onto the rolling surface, preventing slipping, an interesting device that has a hand guard for cutting the noodles and a very large long steel cleaver that is used to precisely cut the noodles. His final 2 pieces of equipment are the rolling pins, two long dowels about 1 ½ inches in diameter and 3’ long. Each piece of his equipment has a handmade quilted bag to protect it when not in use. Soba (そば or 蕎麦?) is the Japanese name for buckwheat. It is synonymous with a type of thin noodle made from buckwheat flour, and in Japan can refer to any thin noodle (in contrast to thick wheat noodles, known as udon). Soba noodles are served either chilled with a dipping sauce, or in hot broth as a noodle soup. It takes three months for buckwheat to be ready for harvest, so it can be harvested four times a year, mainly in spring, summer, and autumn. In Japan, buckwheat is produced mainly in Hokkaido. Soba that is made with newly-harvested buckwheat is called “shin-soba”. It is sweeter and more flavorful than regular soba. Since soba also means “next to,” there is a unique Japanese custom called “hikkoshi-soba (moving-in noodles).” People who have just moved into a new neighborhood, give their new neighbors soba while introducing themselves. On New Year’s Eve there is a custom to eat “toshikoshi-soba (year-crossing noodles).” Because soba is fine and long, people eat them to wish for a long life. This became widespread in the Edo period. The style of Mr. Yamaguchi’s noodles is is Echizen oroshi soba, or Summer Noodles. They are served cold with bonito flakes, spring onions and a sauce made of freshly grated daikon that was mixed with seasoning. 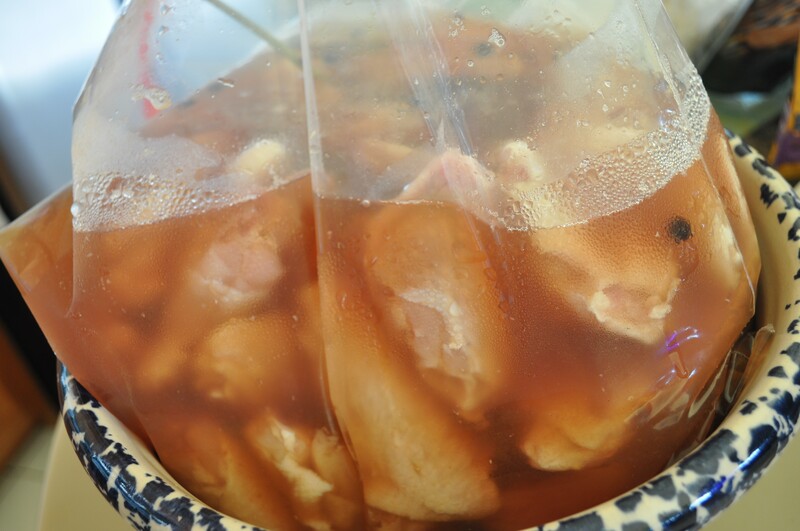 The cooking liquid is also served alongside as a tea. 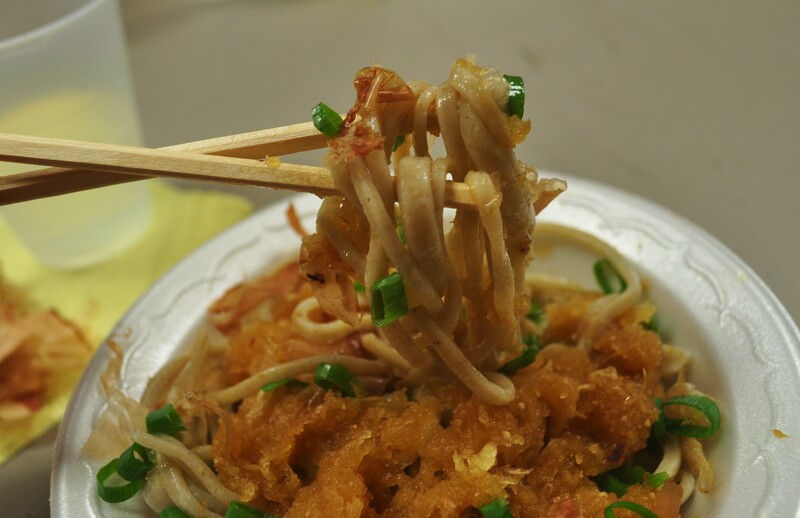 The seasoning for Echizen oroshi soba is usually made with soy sauce, mirin, water and sugar, but in this case because Mr. Yamaguchi believes that the daikon in Hawaii is sweeter than in Japan, he brought a bittering agent to counteract that sweetness. Mr. Yamaguchi does not speak English, so an interpreter from the Puna Hongwanji was available to translate his meticulous instructions. First the dough is made. This process takes about 30 minutes. Special flour made from the heart of the buckwheat is ground into flour. Mr. Yamaguchi brought his custom made flour in pre-measured bags. Each bag made one batch of soba. He had to make 3 batches to feed the 40 people attending the class. 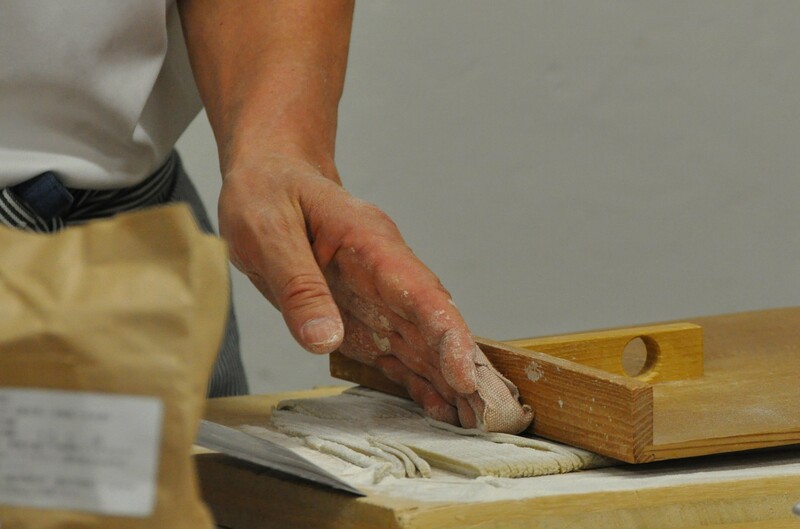 He starts by emptying the bag of soba flour into the bowl and adding a precise amount of water a tiny bit at a time. He works the dough by hand assuring that the hydration occurs evenly. As he incorporates more and more water, the dough begins to form and he kneads it over and over into a smooth and elastic dough. Finally after working the dough into complete submission, he flattens it into a disk and then starts the rolling process. The disc eventually is flattened and thinned into a square shape. This process takes another 20-30 minutes. The entire time my head was spinning as I was thinking how much easier it would be with a pasta machine to roll it out. Then when the dough is as thin as it needs to be, the square is folded over three times with extra flour to keep it from sticking and the cutting begins. The noodles are quite thin, thinner than the commercially made soba that I have experienced. Each bunch of noodles consists of 28 cuts. 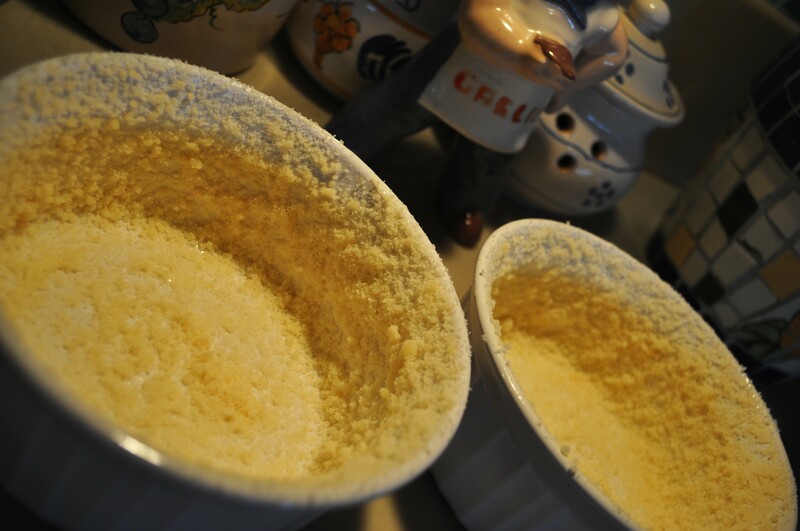 The noodles are then shaken to rid the excess flour and laid out on a sheet to rest. At this point you could cover the noodles and refrigerate for up to three days, but it is best to use them fresh. A large wok-pot on a commercial wok burner was filled with water and set to boil. Once boiling the noodles are added and cooked using a long set of chopsticks to occasionally stir. In about 5 minutes a noodle is removed and tasted and when the noodles are at the ready they are placed into a colander and immediately dunked into ice water and “washed”. Then they go through the process a second time in fresh ice water. They are then immediately drained and served in bowls. 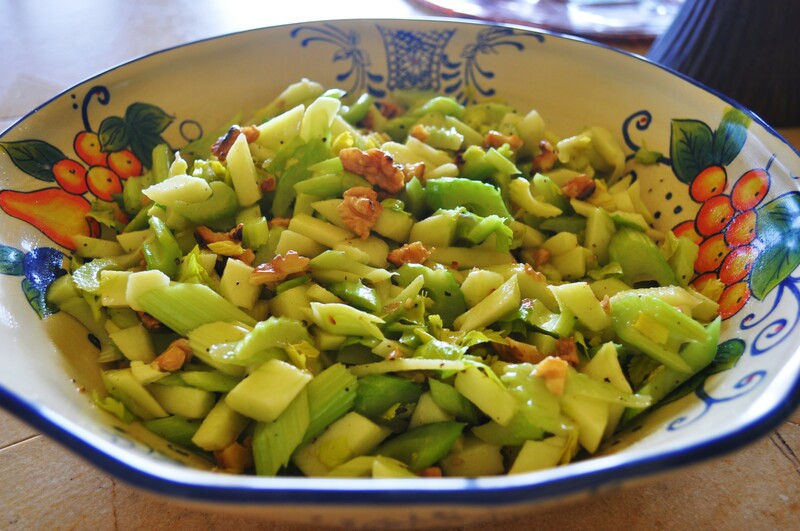 The daikon in sauce goes on top, then some green onion slices and finally a generous hand full of bonito flakes. A cup of soba noodles has 113 calories. That compares with about 200 calories for a cup of white-flour pasta. The calories in soba noodles still are made up mostly of carbohydrates, at 24.44 g. That compares to about 40g carbs in a cup of regular pasta. There are 5.77g protein in soba noodles and 0.11g fats. About 92 percent of the calories in the noodles come from carbs, 20 percent from protein and 1 percent from fat. If your are interested in learning more about the Puna Honwanji, you can go to their website or facebook page. I love roasted beets. When I was doing research for an Oaxacan Dinner Party I had on Saturday, I found saw a recipe in Susana Trilling’s great Oaxacan cookbook Seasons of My Heart. 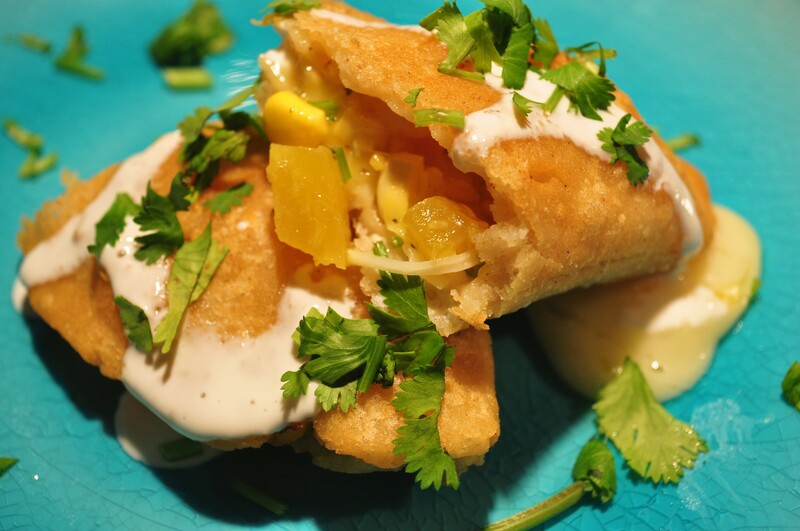 Her recipe for Empanadas de Betabel (Empanadas with Beets) stood out to me. 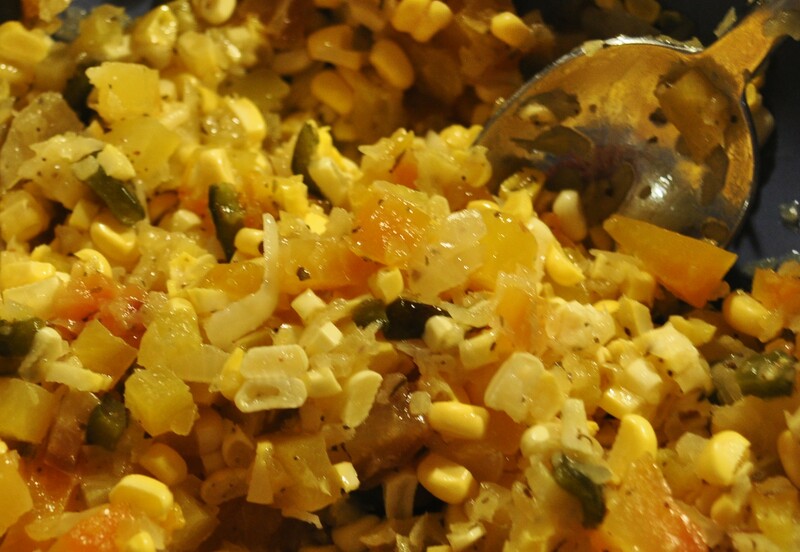 The recipe also incorporated fresh corn which I had also planned to use for the party. Her method was to boil the beets I roasted mine. In her recipe the empanadas were cooked on a camal. I did them on a camal for the dinner party, but last night I had some oil in a pan because I was making enchiladas, so I fried them and I think they actually came out better fried. On the night of the party I also paired them with home made Mole Verde, last night I just squiggled on a little crema and tossed on some cilantro. I used golden beets because that is what was available grown locally. I am sure red beets would change the color of the filling significantly. These can be made with or without cheese… but I really love cheese. I added a few things to her original inspiration and lessened the cooking time for the filling. Wrap the beets in heavy duty foil with a few garlic cloves and drizzle on some olive oil and sea salt. Bake at 350 degrees for 40 minutes. Remove from the oven and allow to cool slightly. When cool enough to handle, pull or cut off the skin. Then dice into ¼ inch pieces and set aside. In an 8 inch frying pan over medium heat, fry the onions in the oil and butter till translucent. Add the garlic and cook for a few minutes more. Add the corn kernels & chiles and cook for another 3-5 minutes more. Add the seasonings, beets, salt, pepper and epazote. Cook for a few minutes just to blend flavors. 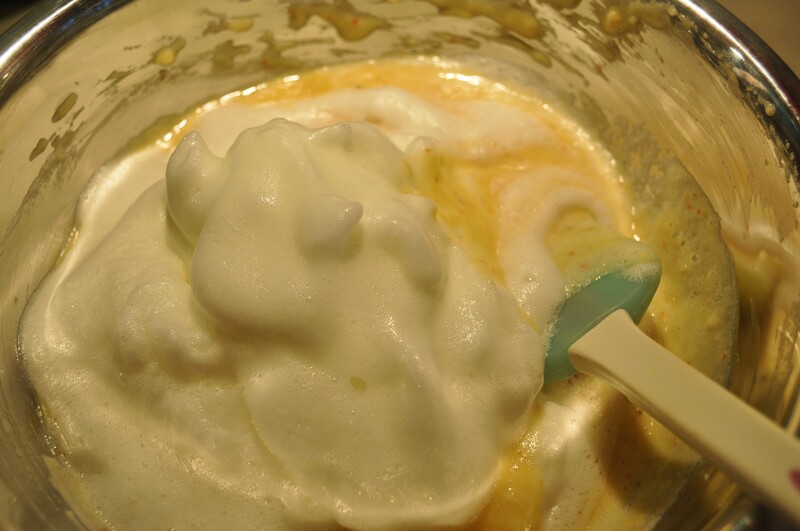 Put the filling in a bowl and cool slightly till you can put the mixture in your hands. Have the shredded cheese available in a second bowl. Mix the stock and seasonings into the masa. You want a soft slightly wet dough, wetter than for tortillas. Knead for about 1 minute. Divide the dough into 10 balls, slightly larger than a golf ball. 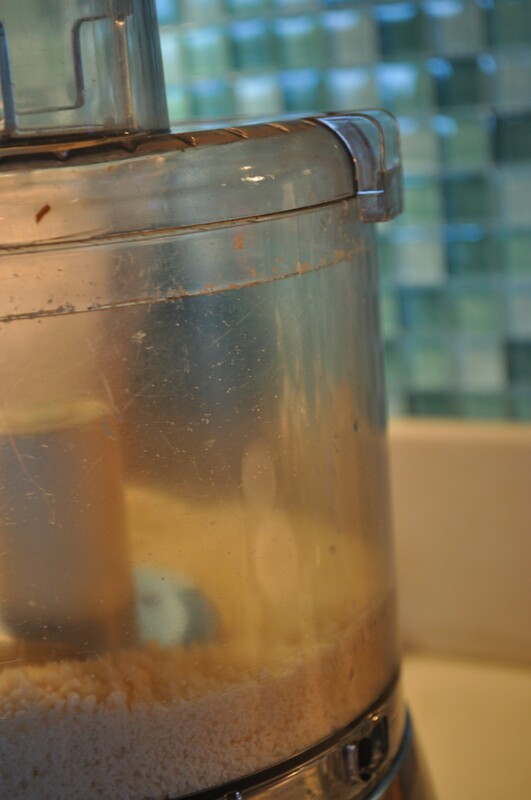 Using a tortilla press, put a piece of a plastic shopping bag on the bottom of the press and then place the ball of dough and top with a second piece of plastic. Press down wiggling the handle a bit to flatten the dough. Pick the circle (looks just like a tortilla at this point) up in your hand and while cradling it fill it with about 3 tablespoons of cheese, then 2 tablespoons of the beet and corn filling. Seal the edges with water and pinch all the way around. 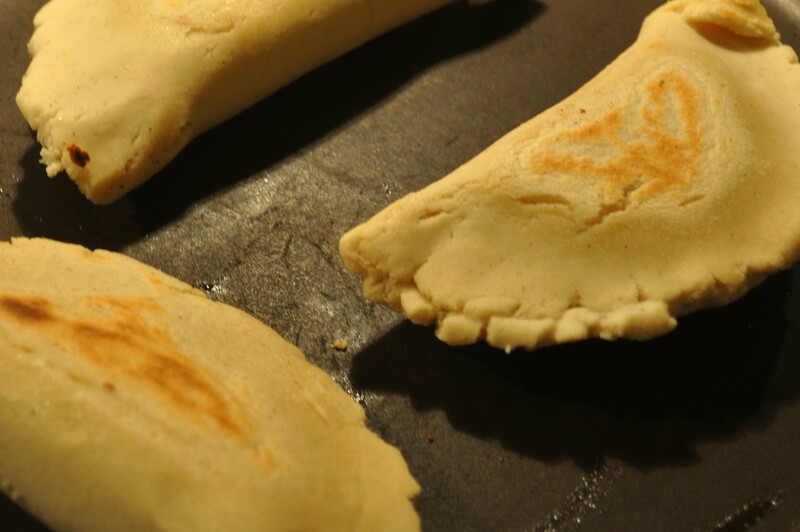 To cook the empanadas; place on a hot comal and allow to brown on each side for about 3-5 minutes. Serve immediately or keep warm in a warming oven. I served these with green mole and crema. 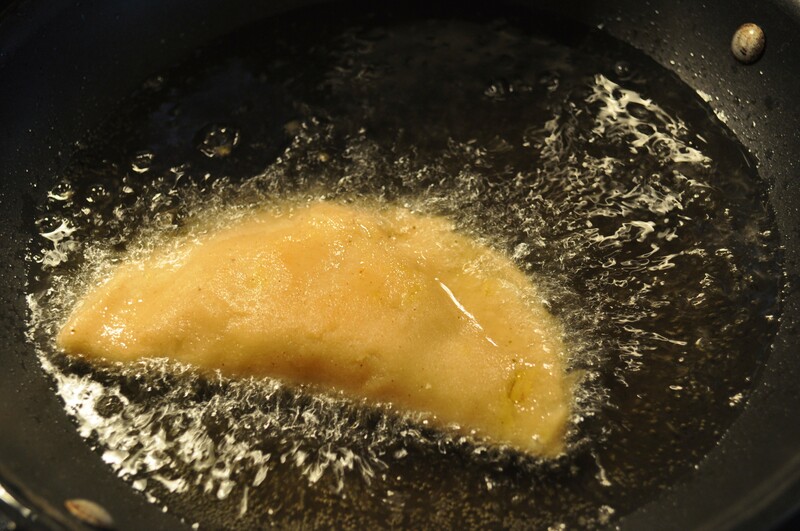 Alternative; have about 1 inch of oil in a small frying pan at medium heat and fry the empanadas, then place on paper towels to drain. Serve immediately with a drizzle of crema and fresh chopped cilantro. 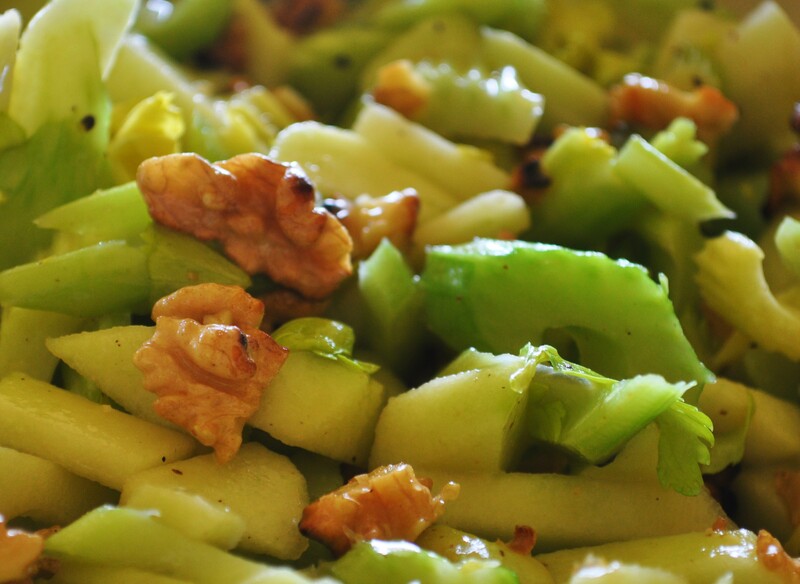 This would make an ideal Valentine’s dinner dish. I like to serve soufflés in individual dishes. This recipe makes two generous soufflés. I used ramekins that are 5″ across. For dinner parties I like to double this recipe and use smaller ramekins. 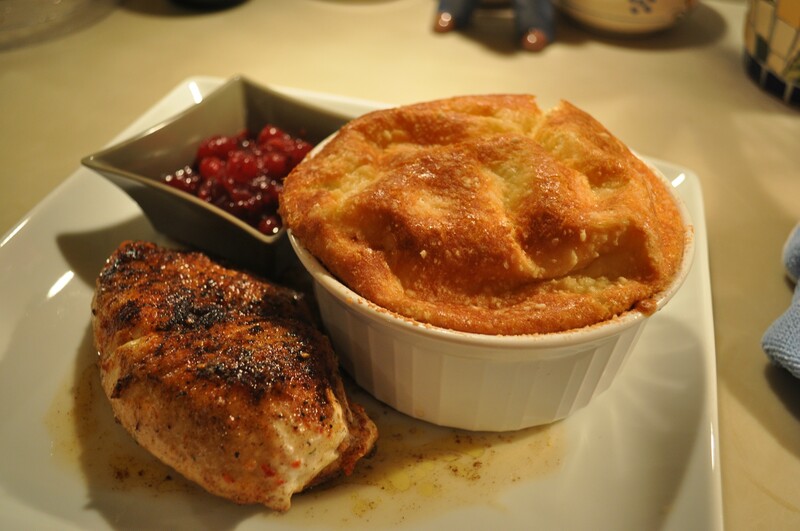 I served the soufflés with a sauteed chicken breast and brandied cranberry sauce. They would be equally good with a large herby salad. 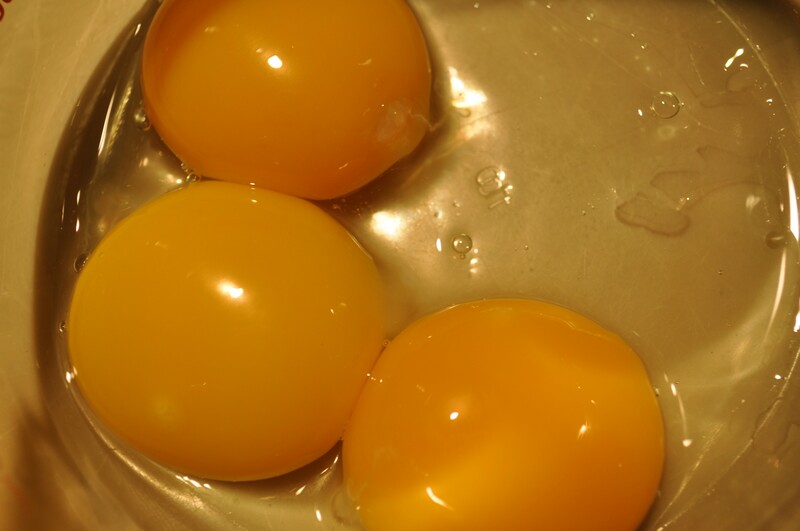 I used my friend Ron’s eggs, straight from the backyard coop. 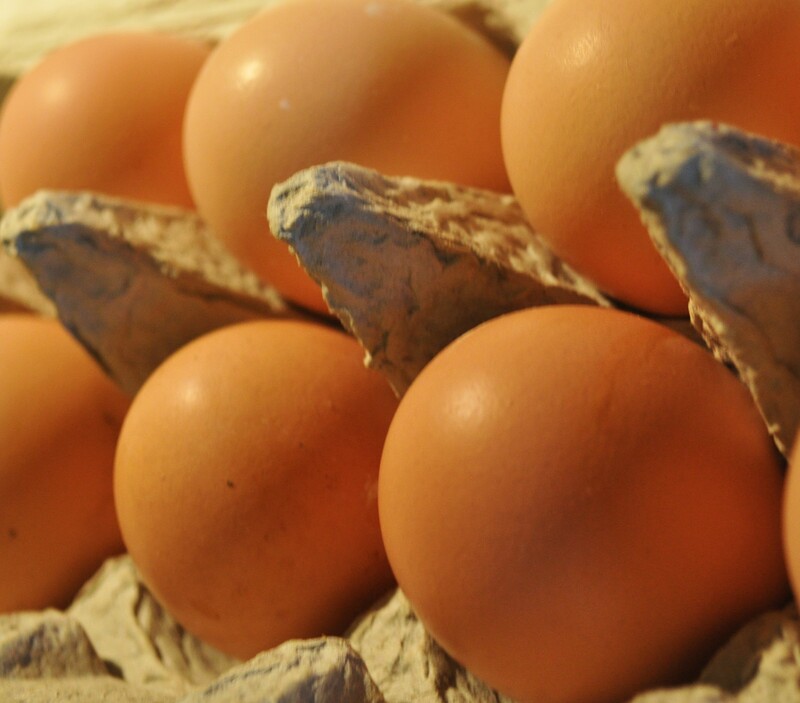 Fresh eggs are important in this recipe. 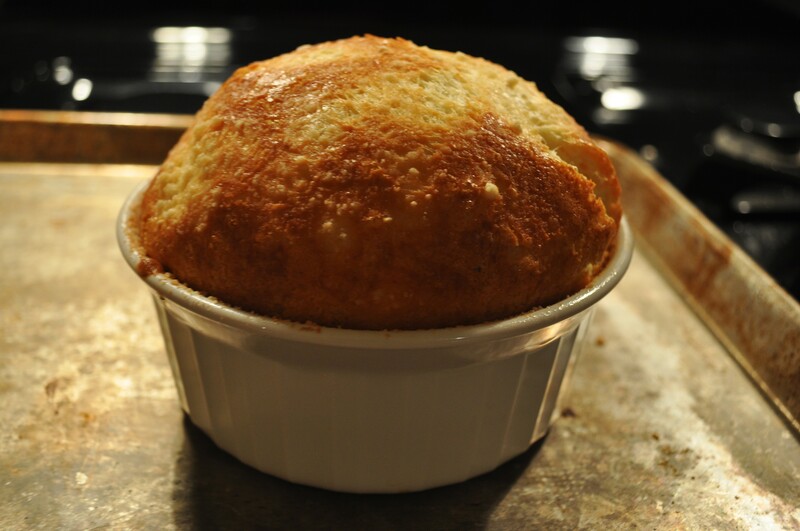 Contrary to rumors, soufflés are actually very easy to make as long as you follow the instructions and do not open the oven while cooking. I also use a ceramic oven liner that retains heat and makes for even baking. Have fun with this! Get everything prepped and mise en place. Whisk the egg whites and lemon juice in a clean bowl with a Kitchen Aid Mixer beater on medium-high until they just hold a soft peak. 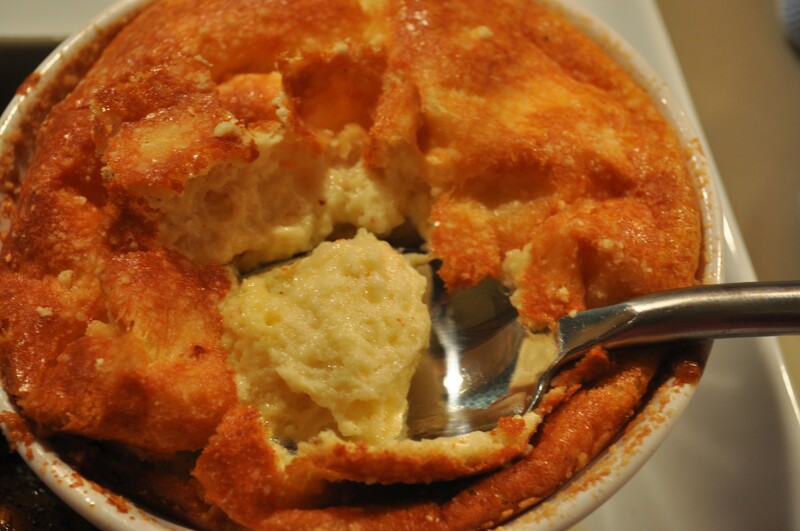 * DO NOT not over-whip the whites, which would give your soufflé a cloudy instead of creamy consistency. Plated. I sauteed the chicken in a little bit of butter. 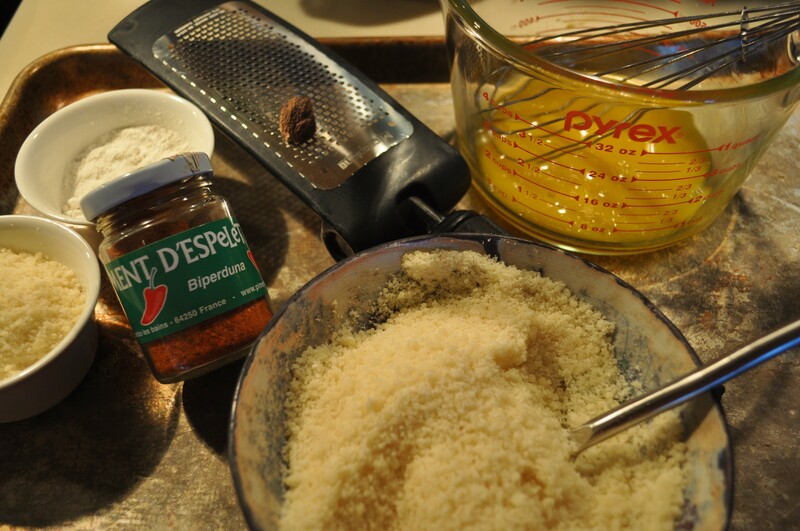 The chicken was massaged with Piment d'Espelette, flour and salt. Make a gallon of sweet tea using mint just as you would for drinking (1 cup of sugar to 2 qts. water and 10 teabags). I add several sprigs of mint in mine too. I also added some juniper berries and about 1/3 cup of sea salt. 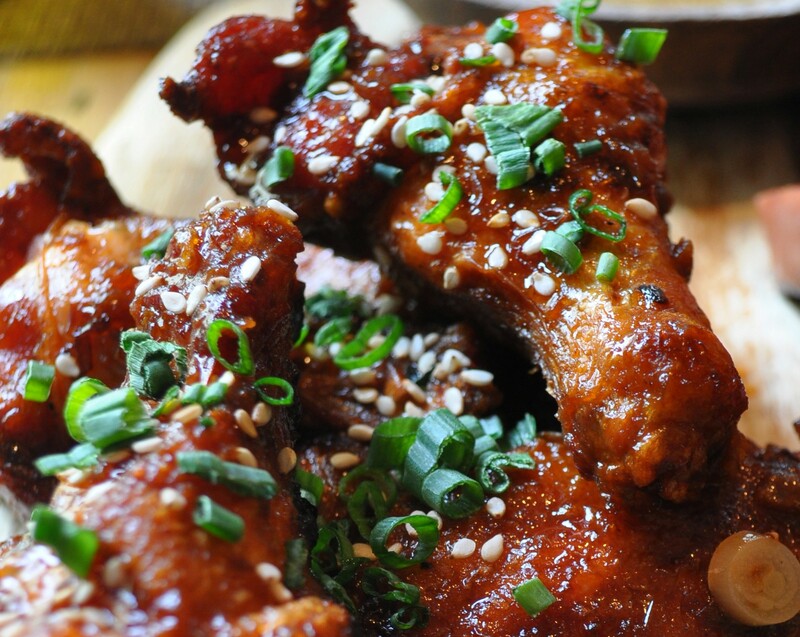 Put the wings in a heavy duty ziplock bag or plastic container and refrigerate overnight, or up to 24 hours. 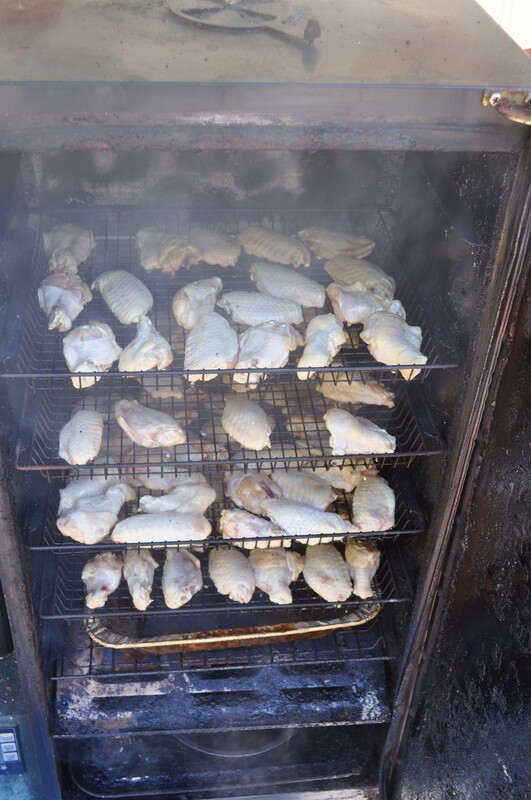 Fry the wings in canola oil (350 degrees) and drain. It is best to do this in small batches so that the oil maintains temperature. It should not go below 225 degrees. 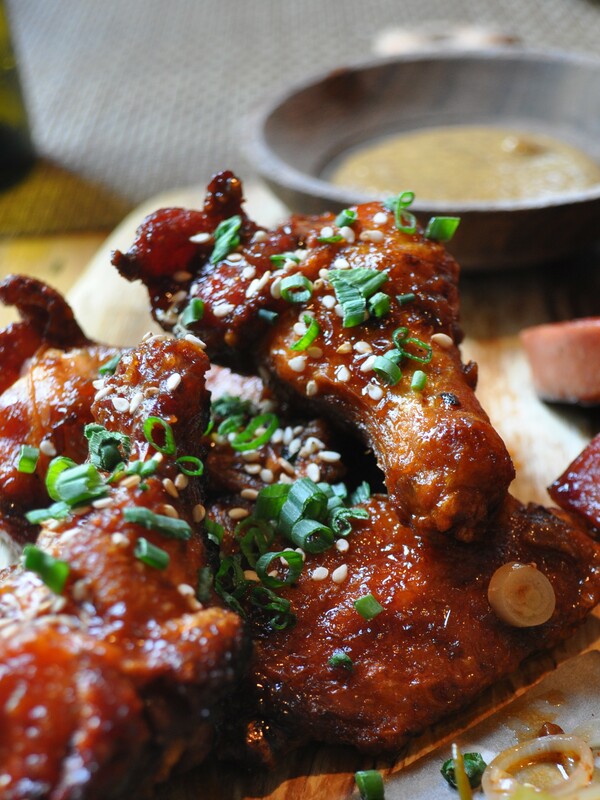 Drain the wings on a rack and then keep warm in the oven as you are frying. 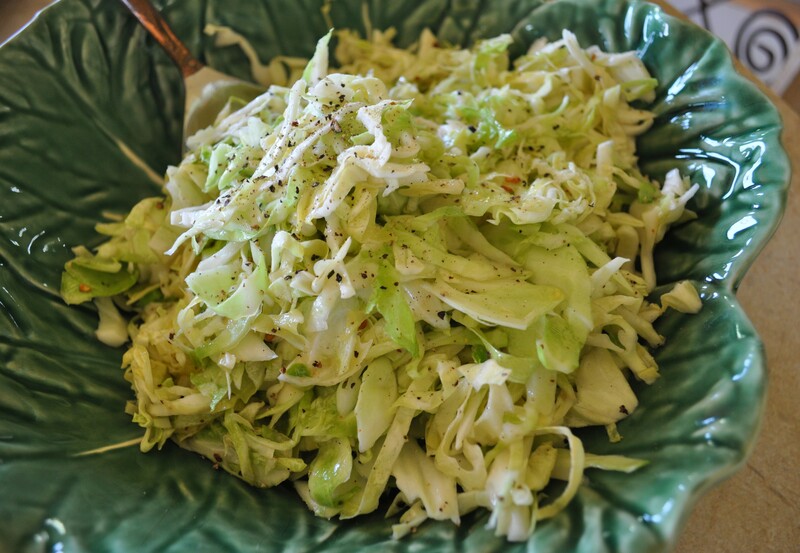 These go great with my coleslaw!